-- April 13th is the day Alfred Mosher Butts was born. Alfred gave the world an iconic board game, now played all over the world. The amateur artist and unemployed architect developed the word game in the midst of the depression. Originally named Lexiko and then Criss-Cross Words, Alfred eventually settled on the name Scrabble. Everyone loves Scrabble, so why not spend National Scrabble Day with someone you like, in a friendly battle of words and wits? -- The comprehensive book millions of SCRABBLE players consider the only necessary resource for winning the game! Features more than 100,000 playable two- to eight-letter words including many newly added entries from a variety of fields. Updated to include new vocabularies such as facepalm, listicle, bitcoin, and emoji. Includes variant spelling with expanded coverage of Canadian and British words. Main entries offer a brief definition, a part-of-speech label, and inflected forms for fast, easy word validation. 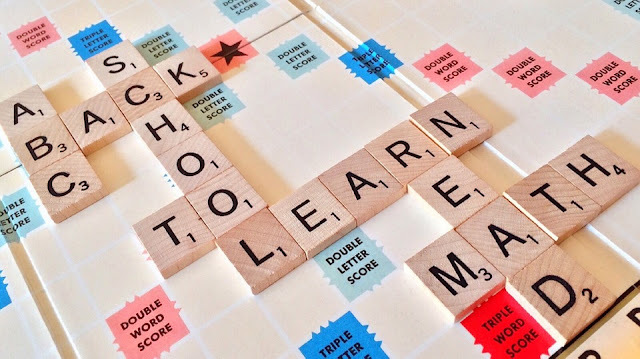 • Wooden Scrabble Tiles -- Each set of 100 uses the standard tile distribution for the game: A-9, B-2, C-2, D-4, E-12, F-2, G-3, H-2, I-9, J-1, K-1, L-4, M-2, N-6, O-8, P-2, Q-1, R-6, S-4, T-6, U-4, V-2, W-2, X-1, Y-2, Z-1, and 2 Blanks. Letters can be used for children early education, games, all kinds of crafts, which is a good helper for DIY, ideal for some wedding/engagement photos ornaments. 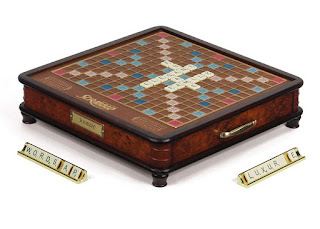 • Scrabble Luxury Edition Board Game -- Every word really is a winner when played on the luxury edition SCRABBLE® game. The rotating wooden game board features a faux-leather playing area, raised grid and gold-foil detail. And, the ivory-look tiles will look elegant on the gold-plated tile racks. All game pieces, including a timer and scorebook, store in a built-in storage drawer. Housed in handsome burled-walnut veneer case, this handsomely crafted game will become a family heirloom you will enjoy displaying year-round.